Hello, I'm Dave King. 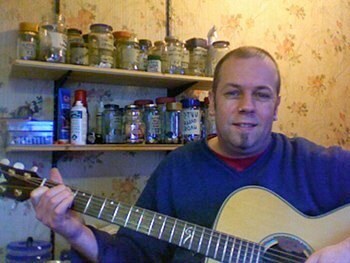 I specialise in guitar repair, modification and restoration, and repair stringed instruments for customers in and around Halifax, Bradford, Leeds and Huddersfield. and just about any other type of guitar or bass repair you can think of. 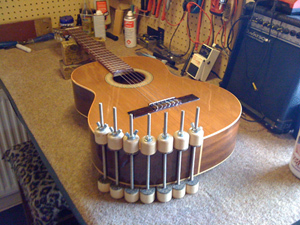 I also repair, modify and restore other stringed instruments, including mandolins, banjos and ukuleles. I’ve been a guitarist for 23 years both in bands and recreationally. I play a range of styles on both electric and acoustic guitars. As a guitar repairer this gives me a much greater understanding of what customers need their instruments to be able to do. In my opinion there is no such thing as a standard setup: the feel and playability of an instrument should be tailored to the player’s individual requirements, from beginner to pro. So if you need some work done or just some simple advice drop me a line.